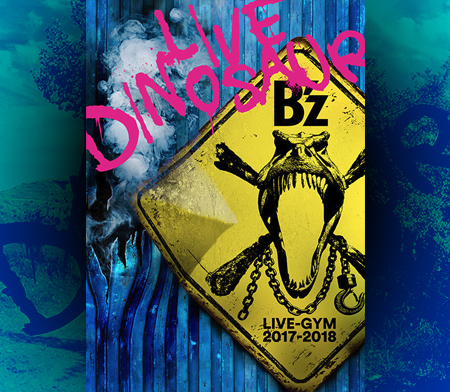 B’z latest release “B’z LIVE-GYM 2010 “Ain’t No Magic” at TOKYO DOME” on DVD and Blu-Ray has already topped the Oricon chart, and a massive advertising campaign has been launched. 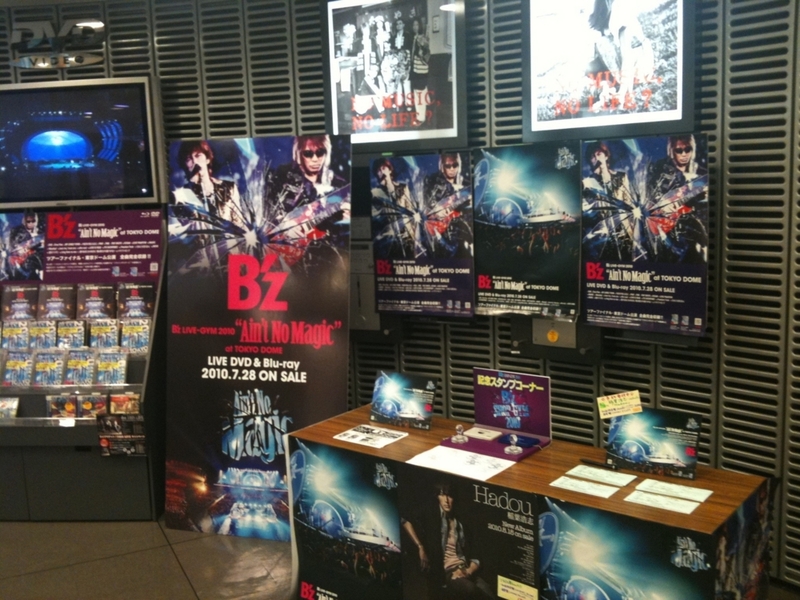 This morning, two coloured pages featured B’z ads in the Asahi Shinbun (one of Japan’s most renown newspapers), promoting this new release. Also, busses with ads on it could be seen on the streets. 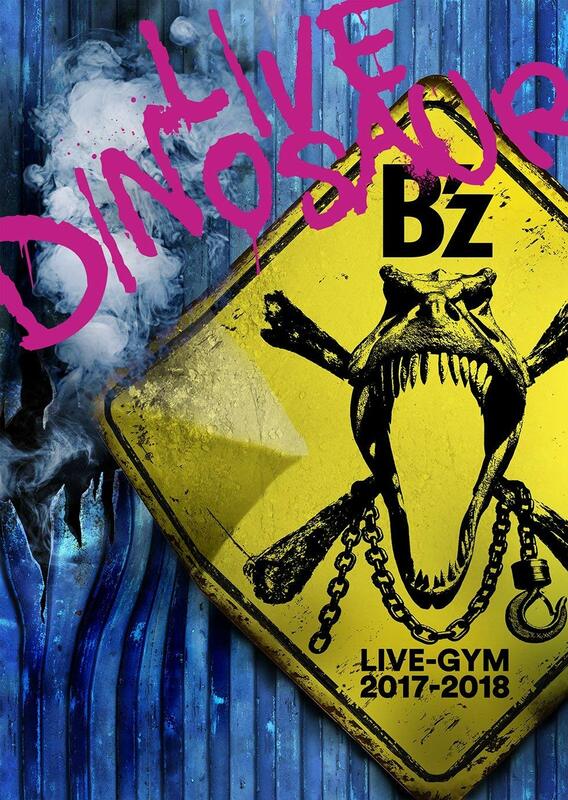 Until August 1st, Tower Records music shops are hosting a corner called “B’z SHOP-GYM”. Both DVD and Blu-Ray are offered with a 15% discount, and you can get a special commemorating seal (in 2 different colours, red and blue) and mini-uchiwas with tour’s logo on it. In some shops you can also see a scale model of the “flying stage” used during dome tour dates. I even see Slash’s solo album LOL. 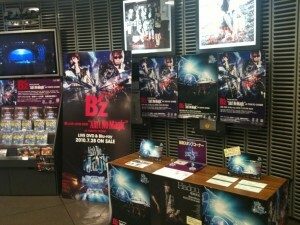 Beside that, it’s nice to see that kind of promotion!